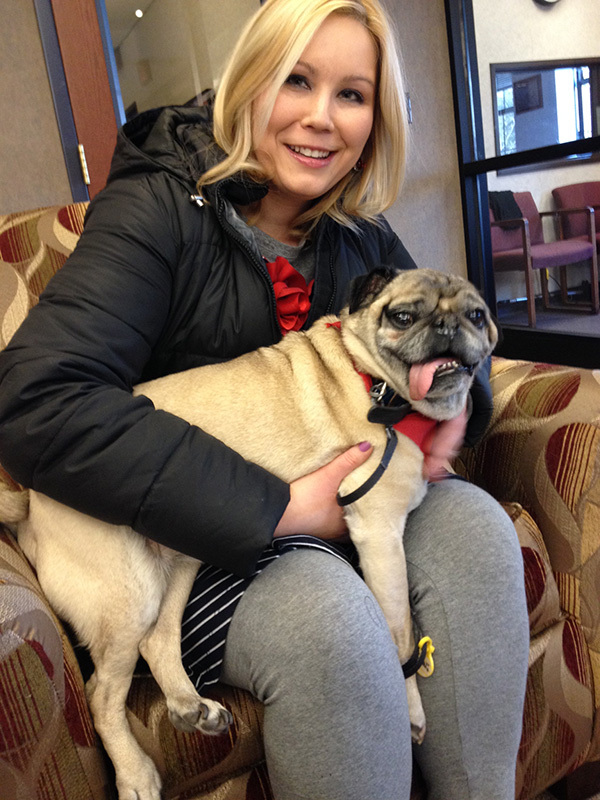 Tag Archive | "Health Fitness Revolution"
Hospice of Michigan volunteer Pierrette Templeton and her pug, Biwi, bring comfort and enjoyment to patients and families during a very difficult time. Templeton, who makes visits through the nonprofit’s pet therapy program, credits volunteering with “anchoring” her emotionally and spiritually. Most everyone begins the New Year with a resolution involving a healthier lifestyle. Many also pledge to give back to their communities. If you have welcomed in 2017 with one or both of these on your list, consider volunteering. From national foundations with Michigan chapters to grassroots community organizations, opportunities abound to make a difference in the lives of others. And Hospice of Michigan is one option. Volunteering can force you out of your comfort zone, which can help you grow as a person. It can also provide peace of mind by helping you meaningfully engage in a cause you can identify with and believe in. Alison Wagner, Hospice of Michigan director of volunteer services and complementary therapies, shares how another volunteer cherishes moments with everyone she meets. With the passing of the volunteer’s father and the death of her precious granddaughter, she decided to volunteer in order to heal. She finds her involvement “extremely rewarding and a blessing in her own life.” With the special bonds and dear friendships she’s developed with her patients, she reports just sitting with someone is very gratifying for her. Medical professionals identified a tentative link between volunteerism and a decreased risk of hypertension among adults 50 years or older. While the study did not identify a definitive link, it suggests the higher levels of physical activity and better mental health that come with volunteering are the reason. 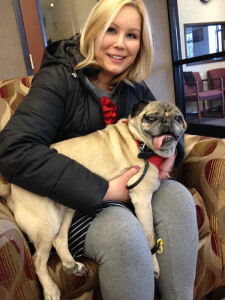 Interestingly pet therapy, like that provided by Hospice of Michigan, is also credited with providing cardiovascular health benefits to seriously-ill patients. It’s additionally shown to lower blood pressure and lessen overall physical pain, as well as alleviate a host of emotional and social issues. Along with improving cardiovascular health, research has also linked volunteering with a longer life through the greater social support those who volunteer enjoy. Research further suggests volunteering for others enhances mortality five years down the road. Whether it’s partnering with Hospice of Michigan or any of the hundreds of organizations across Michigan dedicated to enhancing life in the Great Lakes State, volunteering is certainly a path to health and happiness in the New Year. For information about volunteer opportunities and upcoming training sessions, or to learn more about hospice and palliative care, call 888-247-5701 or visit www.hom.org.